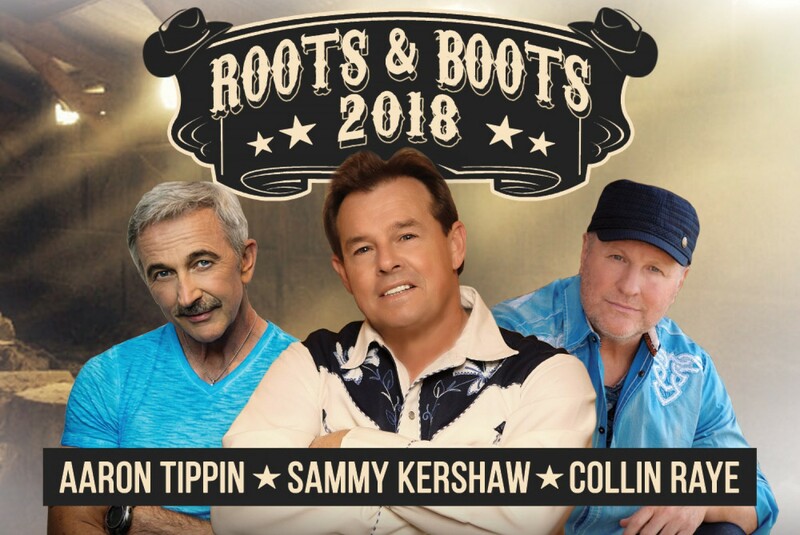 Three artists who defined Country Music in the 1990s will take the stage on Friday, August 10, at Fraze Pavilion as the trio of Sammy Kershaw, Collin Raye, and Aaron Tippin, collectively known as Roots & Boots, bring a combined 40 Top 10 radio hits and 25 million albums sold to Dodson. Tippin said he loves performing, added this version of Roots & Boots has been playing together for the past couple of years, and the three enjoy their time together on stage. “We have a full band. All three of us perform. We have fun and the crowds love it,” Tippin boasts. Some of the members of Roots & Boots chart-topping songs include Tippin’s “Kiss This,” Kershaw’s “She Don’t Know She’s Beautiful,” Raye’s “Little Red Rodeo.” Tippin said that he has his favorite songs the group plays in concert but didn’t want to give away too much. For your convenience, you can purchase tickets to all events at the Fraze Pavilion Ticket Office (on show dates), Fraze FanFare Store located in Town & Country Shopping Center, www.fraze.com, www.etix.com or Charge-by-Phone at 1-800-514-3849.